25 small preserved magnolia leaves. 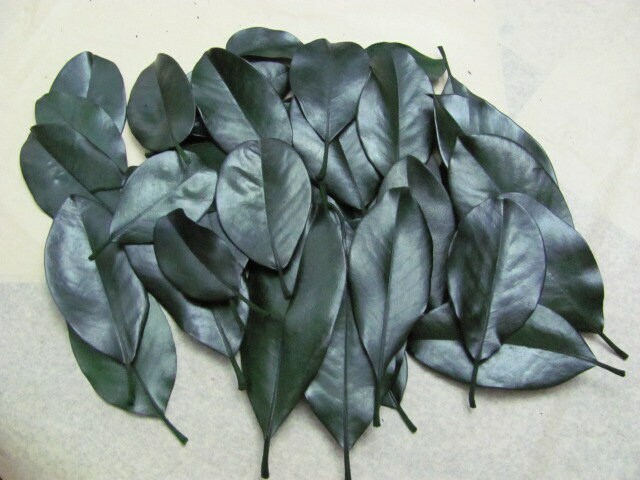 Magnolia leaves, preserved and dyed can be used for trendy wedding places cards, event place cards, craft projects, flower arrangements. These are natural leaves so there may be some small imperfections in them. They have been preserved and as with any preserved product care should be given when placing on fabrics as color can transfer, indoor use is recommended.